We eat healthy and tasty foods to satisfy our taste buds and to keep our stomach full for long. But have you ever thought what to eat when you are suffering from the stomach flu or the gastroenteritis as they call it? Well, it is indeed a fact that there cannot be any better remedy than eating the right kind of diet, in treating any issue related to our body. There are many who wonders about the best foods for stomach flu and if you are one, then worry not, because today in this post, I am going to talk about the best foods for stomach flu. Eating these foods can help you get rid of stomach flu fast. Foods definitely have a direct influence on our bodily functions. But things get a little difficult when you are having an issue directly related to the stomach. Stomach flu, also known as gastroenteritis is an infection concerning your stomach and the intestines. Although, it is called the flu, it is not actually any flu like that of influenza. I had once suffered from strong stomach flu but thankfully with the help of proper nutritious foods, I recovered quite fast. So, I will be sharing my diet chart with you today and talk in details about the list of best foods for stomach flu. One can eat these foods to get rid of stomach flu or gastroenteritis fast. 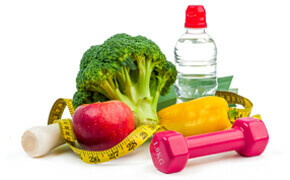 I will also be mentioning some other tips that will help you accelerate your recovery process. Hence, if you are suffering from stomach flu and wondering how to treat it fast, then here’s the post worth checking. Stomach flu is usually caused by viruses but at times, it may be caused by bacteria and parasites as well. Many often confuse it with food poisoning because of the similar symptoms like diarrhea, nausea, vomiting, abdominal pain, fever (at times) but both of these health concerns are not the same thing. Food poisoning is kind of a quicker response to eating contaminated food but it generally goes away within 1-2 days. On the other hand, if you are infected by strong stomach flu, it can make you suffer for up to 10 days continuously as well. Besides the above-mentioned symptoms, stomach flu can also lead to severe headache, too much of muscle aches and a complete loss of appetite. So, if all of the symptoms are continuing for long, then it is a stomach flu and not food poisoning. There are various varieties of stomach flus and most of them are contagious. It generally spreads from person to person by close contact with the person infected by it like for example by sharing drinks, foods or eating utensils, by providing health care to the infected person or being a parent to a child suffering from stomach flu and also from touching objects that are contaminated and then touching your nose, mouth or eyes. Well, I know stomach flu weakens any individual a lot but luckily, there are foods that help. You must avoid eating the wrong food that actually aggravate the stomach problem and cause more trouble. You should rather eat foods that can potentially be beneficial for you in curing your stomach or health issue faster. If you are wondering about those best foods for stomach flu, then don’t worry because that’s what I am going to share below. Having a healthy balanced diet is essential for healthy living in general but when you are suffering from any specific health concern, then there is always a special set of nutrients that work best. In that case, the other healthy foods may not work that well, in fact, in some cases, it can worsen the problem. So, one must eat specific nutritious foods depending on the health concern. And, since our current topic of concern is about stomach flu, listed below are the best foods for stomach flu. Check them out carefully and include them in your diet to get rid of stomach flu quickly. Banana is by far one of the most nutritious fruits that one must eat more so, when you are infected with a stomach flu. The primary reason behind this is the presence of the nutrient potassium in it which gets lost very quickly when you are suffering from the major symptoms of stomach flu like diarrhea or vomiting for a long time. Bananas will help your body regain the potassium and slowly treat the stomach flu. Moreover, bananas are easily digestible so your sick body does not have to stress out while digesting them. So when suffering from stomach flu, one can eat banana as this is one of the best foods for stomach flu. Serious stomach flu lasts generally a week or sometimes a little more which is enough to make your body very weak. Most of the people get so exhausted that they are literally left with no energy to sit or walk. The main reason is the loss of not just potassium but several other essential nutrients, all at a time from your body which can be instrumental in keeping your bodily functions going. In such a situation, if you eat rice, then your body will get the complex carbs which are a great way to replace the loss of the other nutrients quickly so that you do not become excessively weak. However, you must eat plain rice or add a little bit of basic seasoning with it which will not make your stomach upset. Spicy things must be avoided at any cost during stomach flu. Crackers are great snacks and are one of the best foods to eat to get rid of stomach flu. 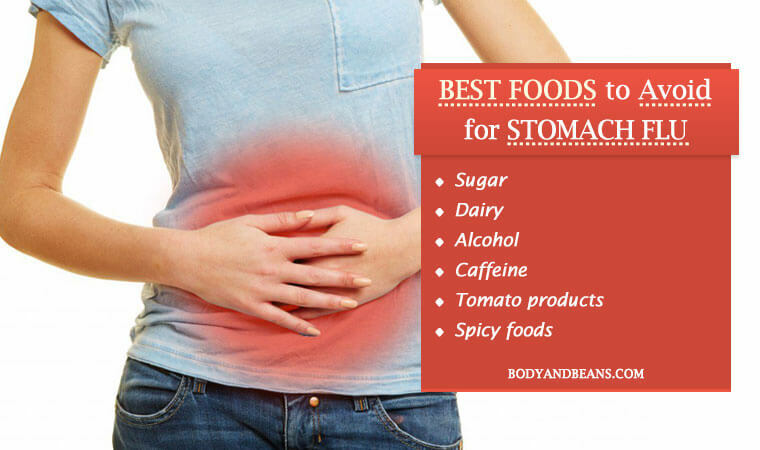 They are good to taste and also helps in keeping the other foods in your stomach down instead of them coming up. They also contain enough neutral nutrients which act great in settling your stomach while replacing the lost nutrients. So, whenever, you are down with stomach flu, make the crackers your favorite snack option. Toast is certainly one of the best foods to eat to get rid of stomach flu. Just like the crackers and the rice, eating toast also is a great way to keep your sick grumbling stomach full without causing much difficultly to your already suffering digestive system. I would actually recommend you to eat whole grain toast but if you are feeling too lousy, then eat some white bread. If eating only the dry, sugar-free foods have bored you, then I think having broths are really a great option for you to fight stomach flu. The chicken or the veggie broths are good to taste and will be a welcome change for you. They also contain fats and proteins which are needed by your weak body but at the same time they do not bother your stomach much, which is why they are often recommended by doctors during stomach flu. In case you haven’t eaten a proper food for a while due to this stomach issue, then you can easily make the broth your full meal by adding a slice of toast on the side with a little bit of butter on the top. This will satisfy your taste buds as well as keep you full in a healthy way. Stomach flu dehydrates your body a lot and makes you feel too sickly. Well, it is an obvious result when you vomit a lot and have diarrhea continuously. In such a situation, you have to aim to keep your body hydrated but drinking big mouthfuls of water may make overwhelm your stomach and increase the problem. Hence, sucking on some ice chips is a good option to try as it will slowly provide your system with the water it needs but will also not cause trouble to your ailing stomach. It is one of the most ideal foods to eat when you are sick and even throwing up and it is also good to eat when you are down with stomach flu. You may be wondering why? Well, the main reason behind its recommendation is due to the presence of pectin in it which is a soluble fiber that keeps the human system hydrated, even when you are sick. Moreover, applesauce also adds in slowing down your diarrhea which is also a great thing and hence applesauce is considered to be as one of the best foods for stomach flu. Eating applesauce can help you recover fast from the stomach flu. The other fruit that you can eat when affected by stomach flu is lemon. The tangy and refreshing flavor of lemon can make you feel better. Lemons are very efficient in killing the pathogens in your body and reducing the occurrence of vomiting and diarrhea. So, if you are suffering from stomach flu then add some slices of lemon in a glass of water and drink. You may also like to squeeze some lemon juice over your pasta or rice or other foods you are eating. Many of you may not be aware but butternut squash is one of the important foods that is good to be eaten when sick, and you can eat it when suffering from stomach flu as well. It is a powerhouse of nutrients with potassium, Vitamin A, Vitamin C and folate being the major nutrients in it. So, naturally when these nutrients enter your body, you slowly become strong and gain the energy to fight back the stomach flu easily. If you are slowly recovering from the flu and you are feeling better and hungry, then I would suggest you to have some chicken. You must be thinking why? Well, the reason is the proteins found in the chicken which will provide you with enough strength and will speed up the recovery process. But, I would request you to go only for the leaner chicken and avoid cooking it in spicy style. Instead, keep it very plain and simple without using much of the spices. You can eat the chicken with some rice or pasta as a full meal. A tasty way to rehydrate your body and calm your queasy stomach is to drink herbal tea like peppermint tea or ginger tea. Ginger is as it is, proven by science to be a perfect cure for treating nausea and vomiting. Hence drinking herbal tea especially ginger tea will be very efficient in getting rid of the stomach flu symptoms. All you need to remember is not to drink your herbal tea very hot and you should ideally sip it slowly. Probiotics are great for general wellbeing but they are especially beneficial when eaten during stomach flu. Studies have already confirmed the effectiveness of probiotics in treating diarrhea (approximately one day sooner) which is indeed one of the primary side effects of stomach flu. So, when diarrhea is treated, you naturally start recovering from the illness better. A great probiotic-rich food is definitely coconut kefir which is also good for treating dehydration. It, in fact, provides electrolytes for dehydration and also supplies your body with good bacteria that helps to replenish your gut after all the damage it has gone through. When there are special foods to eat to get rid of stomach flu, there is also a list of foods that is best avoided when affected by stomach flu. These below mentioned food items worsen the flu and hence you must stay away from them when suffering from stomach flu. Sugar is something which you must avoid as it is not at all favorable for your already upset stomach. Eating sugar while you have stomach flu can worsen the situation even more. Hence, besides avoiding sugar, you must also avoid the other food items as well which are rich in sugar. The other food that you must avoid is dairy and dairy products. These can upset your stomach and cause more complications if eaten when infected with stomach flu. Alcohol is in itself very injurious to general health and when infected with the stomach flu, drinking it will create severe problems. It will worsen the condition of your stomach and make your system too dehydrated. Intake of caffeine and other items containing caffeine like coffee is best avoided when you are suffering from stomach flu. This is because; these items have the ability to contract your intestine, which can worsen your problem of diarrhea. The tomato products form a part of the items that are little hard to get digested and so you must avoid these if you are suffering from stomach flu. By unhealthy foods, I mean the rich, spicy, oily and fatty food items which are not at all good for your already sick stomach. So, you must avoid these and eat only the healthy foods for stomach flu that we have already discussed above. Now, that you know about some of the best foods to eat to get rid of stomach flu, I am sure that you will include these in your diet. But, I want you to know about some more tips, following which, will speed up the recovery process from stomach flu. The simplest way to recover from any illness is to take enough rest. So, in case of stomach flu as well, you need to wait and take things easy. Take enough rest and reduce the amount of activity that you normally do. This will give your body the strength to fight the infection better. Although, I understand that it can get little frustrating to lie down most of the time but you will find that your body and mind will be automatically more inclined to taking rest as fatigue is also one of the key symptoms of stomach flu. Hence, taking rest is one of the most essential tips to get rid of stomach flu fast. Generally, when you are not well then you need something comforting which will make your sick phase a little more bearable and a cool compress does exactly that. It is going to be very essential if you are having the symptoms of a low-grade fever or is extremely exhausted. You just have to put a cool, damp cloth on your forehead and close your eyes and take some rest. Since nausea and vomiting are the two key symptoms of stomach flu, you can definitely try out acupressure. Acupressure has already been proved to be beneficial in women undergoing regional anesthesia for caesarian section. And, it is also suggested by The Memorial Sloan-Kettering Cancer Center that if you can find pressure point P-6 by measuring the width of your three fingers which are down from the bottom of your hand, then that is going to be very helpful in speeding the recovery process. So, try to use your thumb to press below that width and then try to feel the sensitive spot between your two tendons. Continue messaging for 2-3 minutes and you will feel the relief. Generally an individual experience a lot of abdominal cramps when infected by stomach flu. So if you are also finding it too hard to bear the cramps, then use the heating pad to get some quick relief. Once you are already affected, you will need to solve the problem fast but if you are a little cautious from the very beginning, then you may be able to avoid getting infected by it on the first place. Firstly, you must avoid any kind of close contact with the person infected by the flu as much as possible. It is best if you can keep the sick family member isolated. To be more specific, allot a separate bathroom for the sick individual and the rest of you use the other one.However, if that is not possible and you have to share the same washroom with the sick person, then make sure you clean the bathroom floors, bath tub, toilet seats etc. properly before using them. Instead of hand-washing the dishes, try to use a dishwasher to wash them. Wash your hands frequently and try to use soap and water instead of just using a hand sanitizer. Make sure you wipe off your shopping cart handles really well. Use a good disinfectant solution to clean the countertops and surfaces. Your clothing and bedding must also be cleaned frequently. Be very cautious when you are in the kitchen. Make sure you wash the fruits and vegetables very nicely and also cook them properly. Last but not the least, maintain proper hygiene in general. Stomach flu can really make you weak but if your body gets the right kind of nutrients, then it will gain the ability and strength to fight the problem better. And, that will be possible only when you eat right. Today, I have already mentioned a list of 12 best foods to eat to get rid of stomach flu (gastroenteritis). These are extremely needed and will not disturb your stomach much. Now, when there are foods that are good to eat when you are unwell and down with stomach flu, there is bound to be a set of foods that are best avoided. I have mentioned their names as well, so you can include some of these best foods for flue in your diet. However, besides the foods being the solution to treat stomach flu, there are other remedies as well and they are also natural ones and can be easily done at home. I have also shared a few important tips that should help you get rid of stomach flu. Lastly, I want to say that the stomach flu is really very harmful and one gets really weak during that period. So, please try to prevent and protect yourself getting affected by stomach flu. Until, then, stay healthy, stay safe and also keep your near and dear ones safe from the stomach flu.